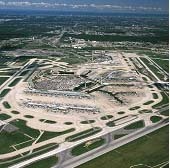 Before the establishment of VSGI Construction Services, members of our staff performed work through Compliance Safety Advocates, Inc. (CSA) a subconsultant to Airport Owners Representatives (AOR) / Harbour Contractors, Inc. (HCI), which provided program management for the development of the Chicago Airport System. CSA provided OSHA safety services for this $2 billion Department of Aviation program, and helped manage construction at O’Hare, Midway Airport, and Meigs Field airports in Chicago. CSA consulting services included preparation of the site specific safety plans, general contractor and subcontractor safety plan review, training, inspections, audits, reporting, and process improvement leadership.